We cut laminated and Lexan safety glass on-site for bulldozers, excavators, motor graders, cranes, track hoes and much more. We can also order and install OEM parts if needed. We are a mobile glass service so we come to you wherever you are, even the truck stop, so don’t let DOT get you – call now!!!!!! We understand that freight can’t wait!!!! 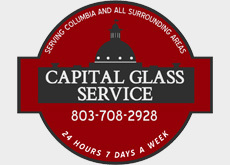 Capital Glass Service has been repairing and replacing motor home glass for nearly 2 decades. We can order custom-cut windshields for any motor home on the road. We can also cut or order side and back glasses.